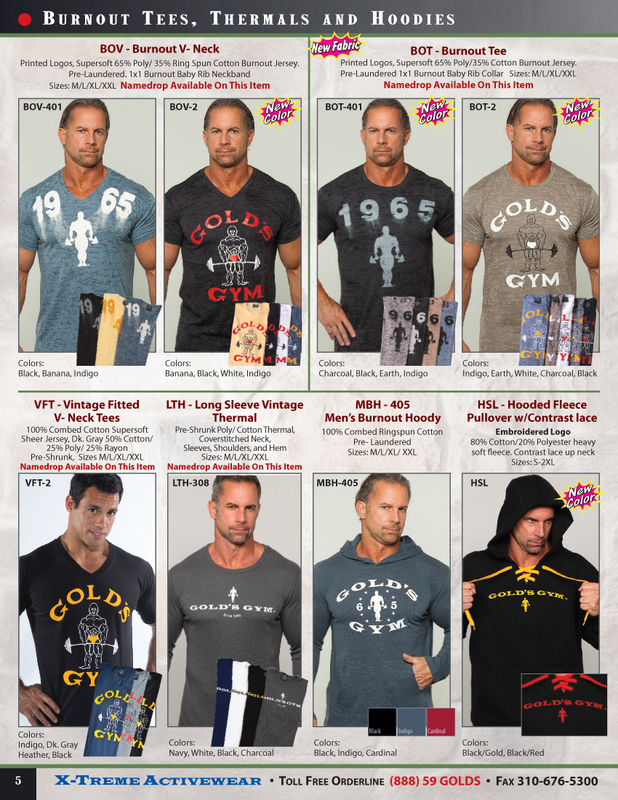 Gold's Gym Apparel by X-treme Activewear is available to the public at your local Gold's Gym. 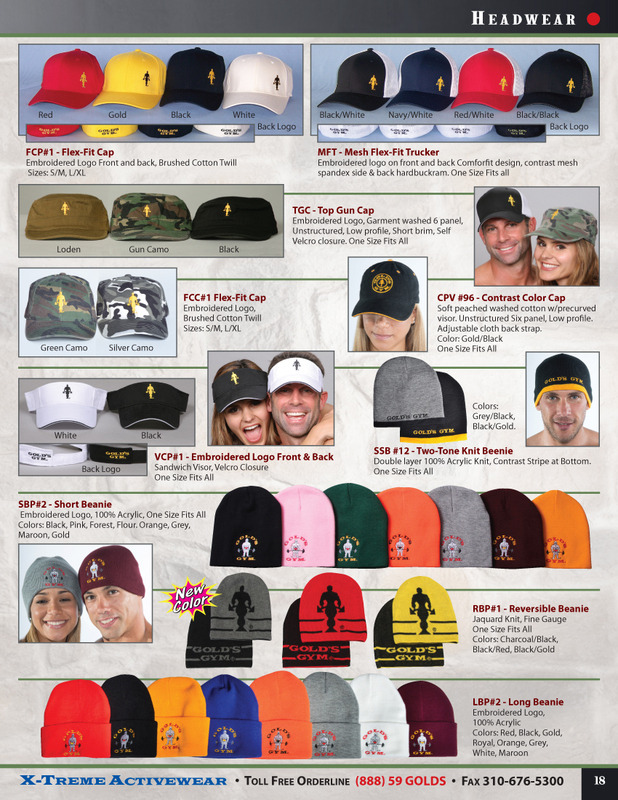 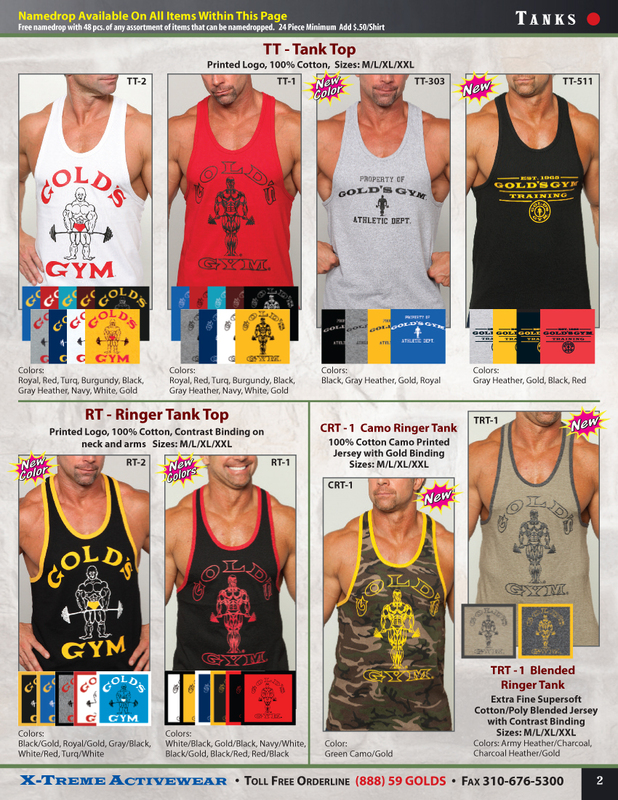 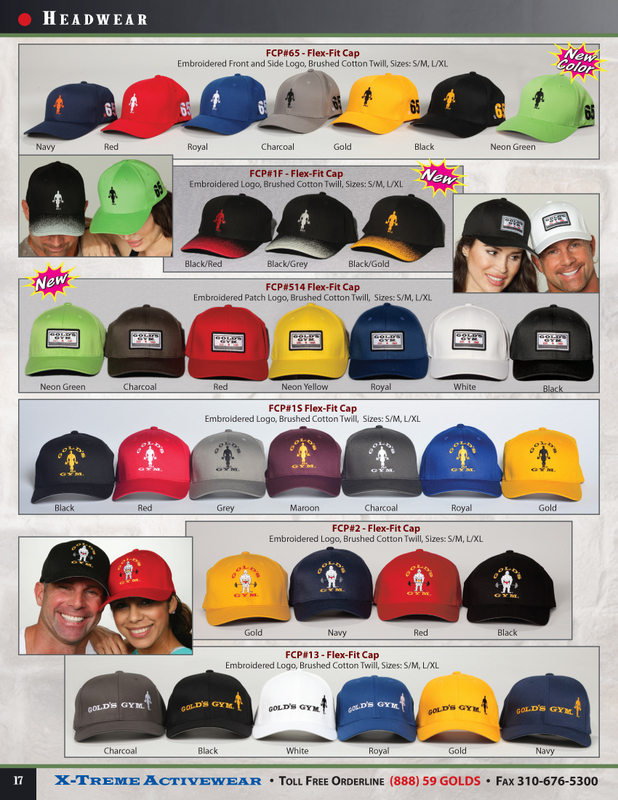 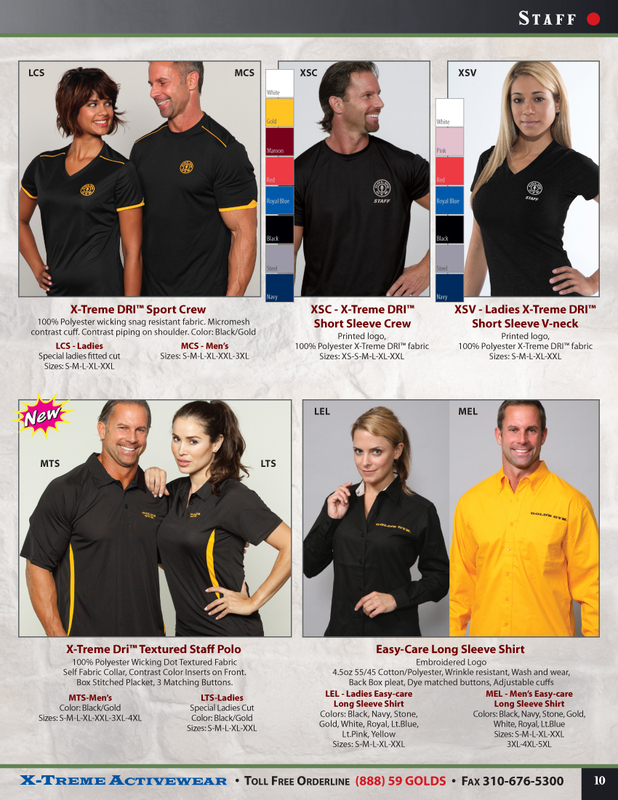 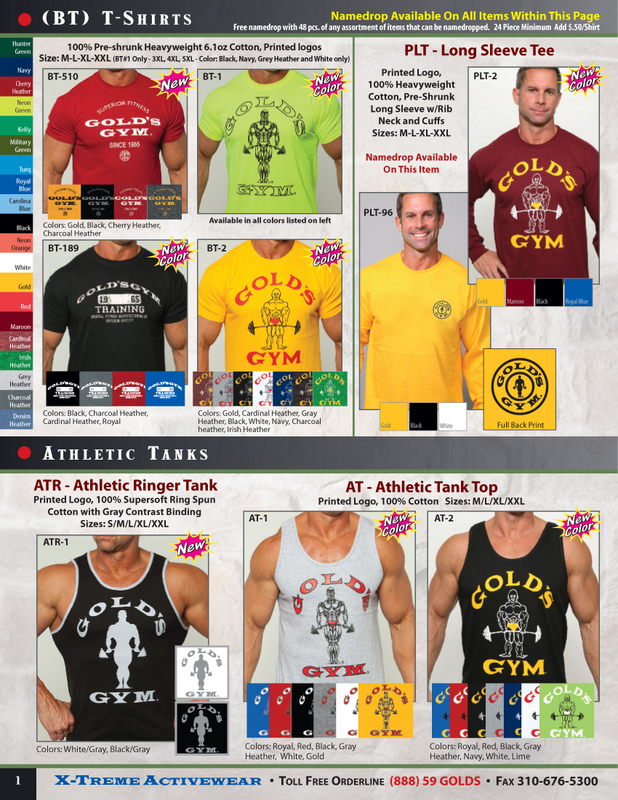 Our huge Gold's Gym inventory allows for immediate shipping of all Gold's Gym apparel orders. 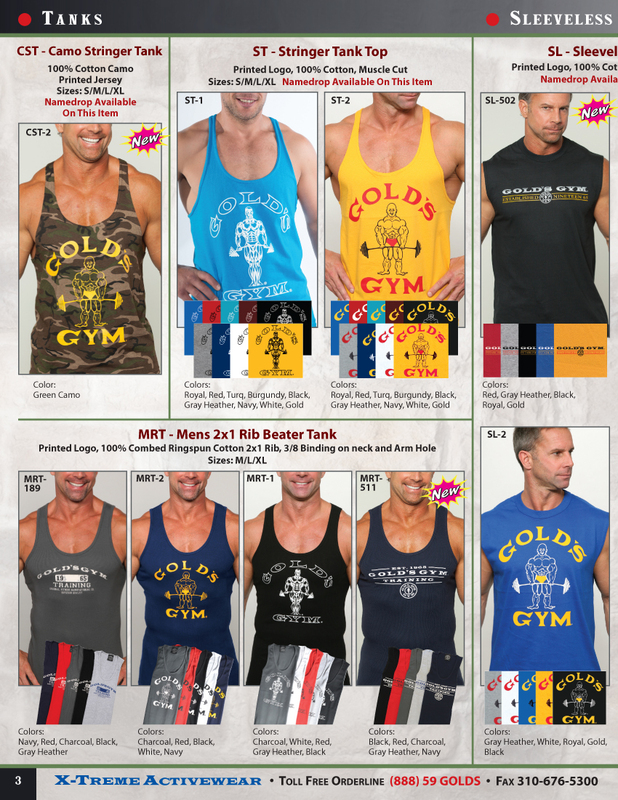 To download it to your computer, right click on the link and select "Save Target As". 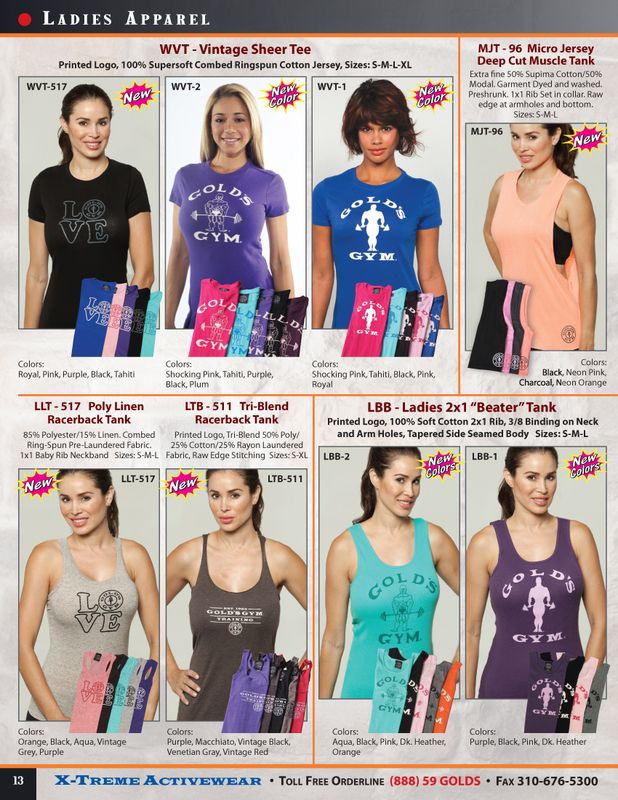 You will need Adobe Acrobat Reader to view our catalog. 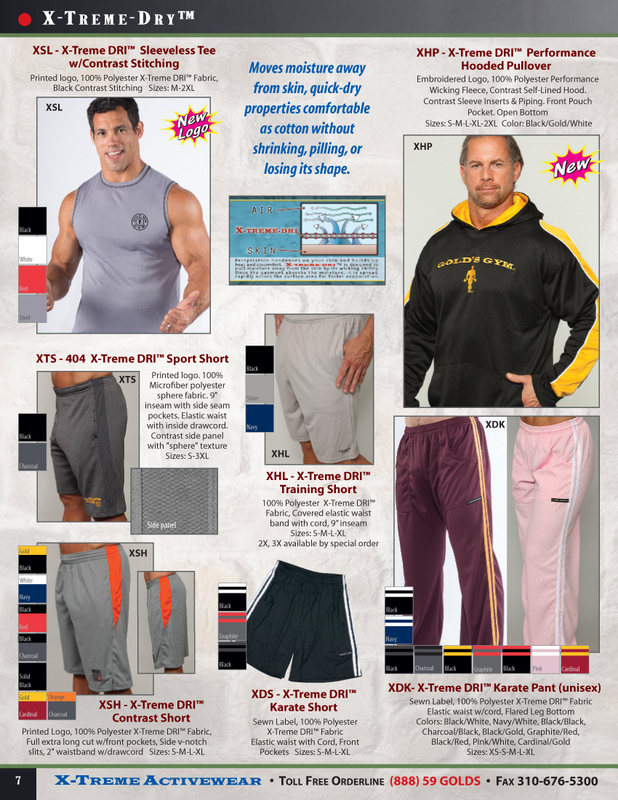 Â©2005 X-treme Activewear all rights reserved.